Fresh apples mixed with a perfect blend of caramelized brown sugar, with a hint of cinnamon. 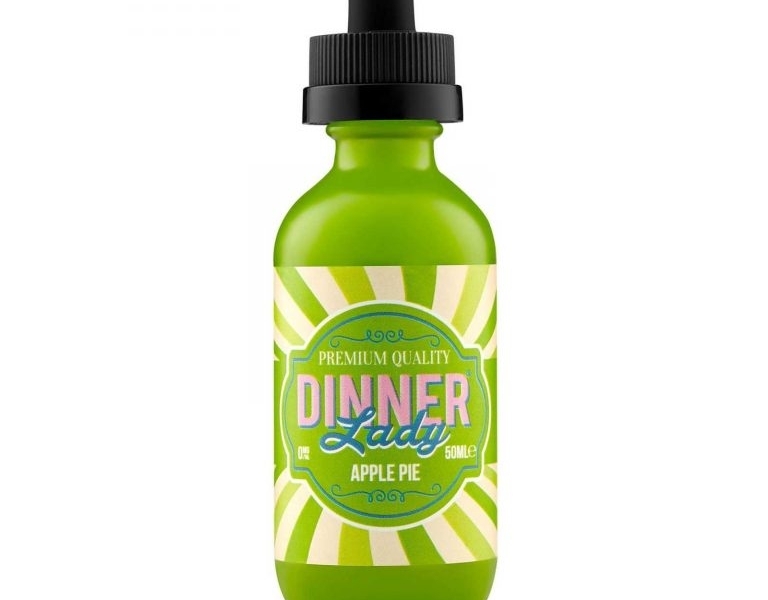 Dinner Lady Apple Pie by Dinner Lady is an apple pie free base E-Liquid that comes in a 60 ML bottle. The price for the juice varies from vape shop to vape shop and website to website but is usually in the $22-$24 range (Dinner Lady does not sell their juice on their website). The E-Liquid produces good cloud production but the marketing label on the juice leaves a little to be desired as it doesn’t show any reference to a “pie” anywhere. It is however, green which can depict an apple color. The flavor profile is exactly as described and is a smooth and delicious juice. If you enjoy Apple Pie, this is certainly a juice for you!